Watch this video to learn more about the Three-in-One Deluxe Hi-Viz Bomber Jacket! Black bottom jacket can be worn with the fleece liner, or without, and the liner can be worn by itself. The Fleece liner just zips out. Also has concealed detachable hood, elasticized waistband and several inner and outer pockets. 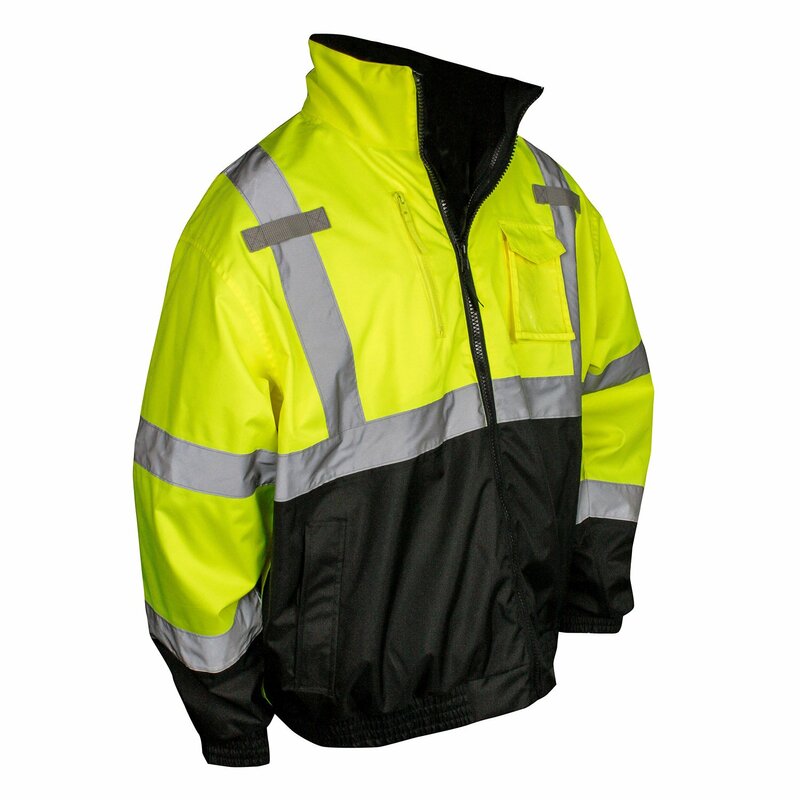 Safety jacket has 2" silver reflective tape with PU coated weather proof polyester shell. Sizes Medium-5Xlarge are availavle, please contact your Safety Products Inc representative for further assisitance.